" I cant believe I ate the Whole Thing"
that says:" I can't believe I Almost ate the Whole Thing"
Option 2: "I can't believe I didn't even come close"
Option 3: "I can't believe my teamates let me down"
Theres about a 15% Success Ratio. 24 Hour notice for 30" 36" 48 Hr notice for 48"
but we can make some arrangements. ARE YOU UP FOR A PIZZA CHALLENGE!!!! To Take the Randys Pizza Challenge. 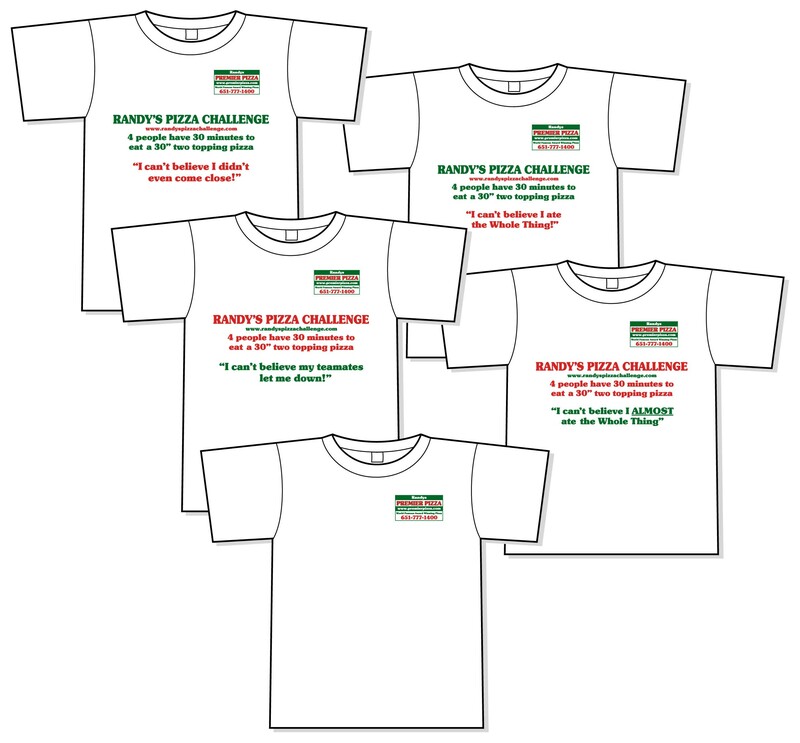 Take the Randy’s pizza Challenge.